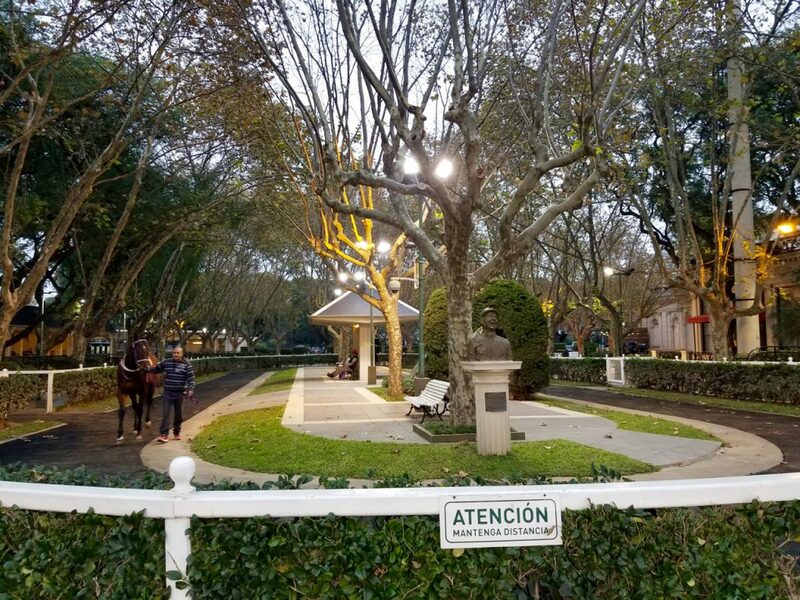 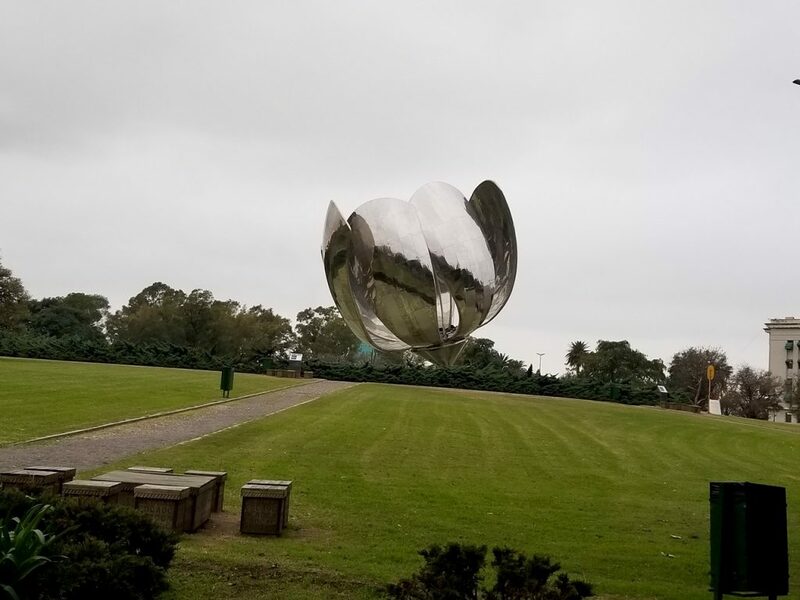 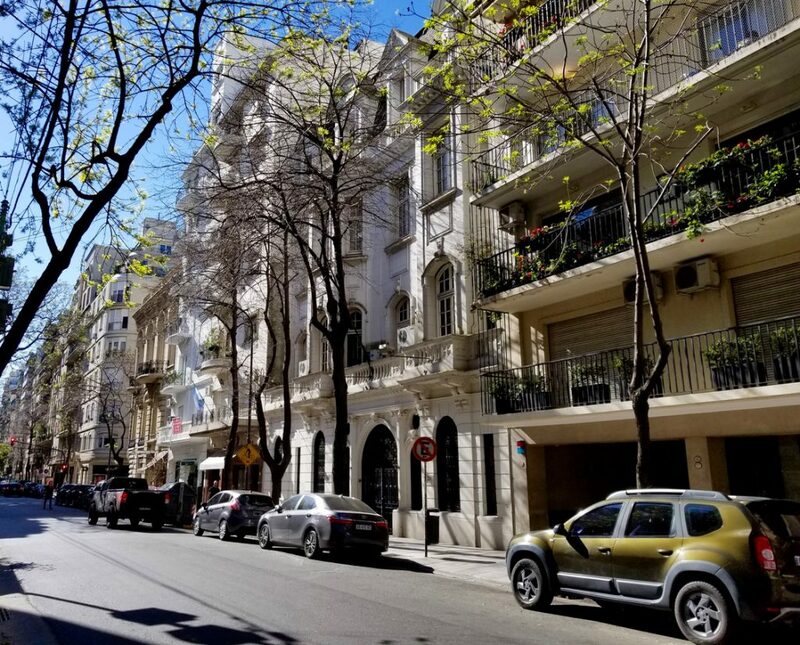 With our visit home complete and having successfully missed a couple months of Southern Hemisphere winter, we landed back in Buenos Aires where we would spend the next month enjoying the city and once more try to improve our Spanish skills. 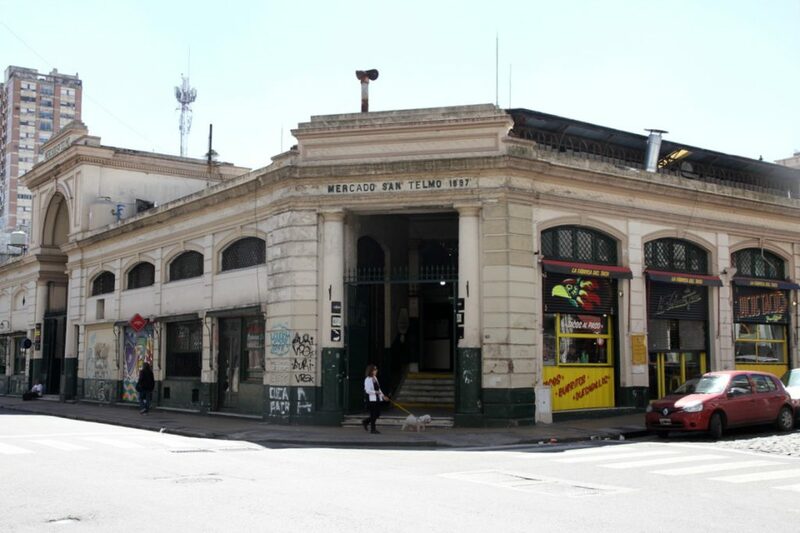 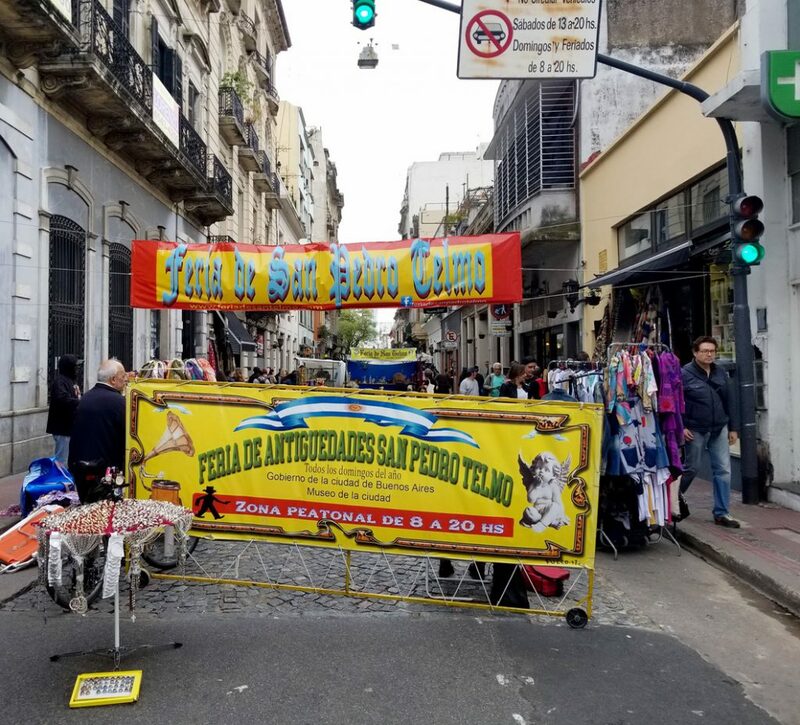 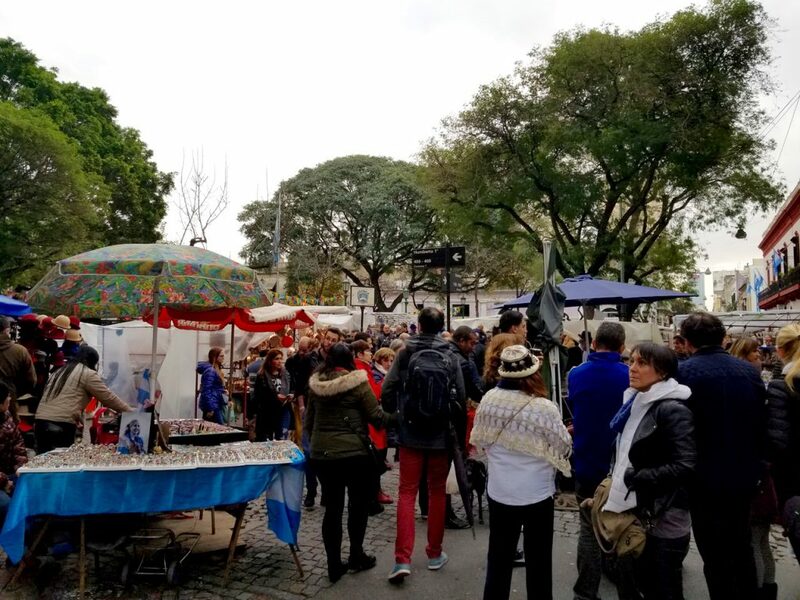 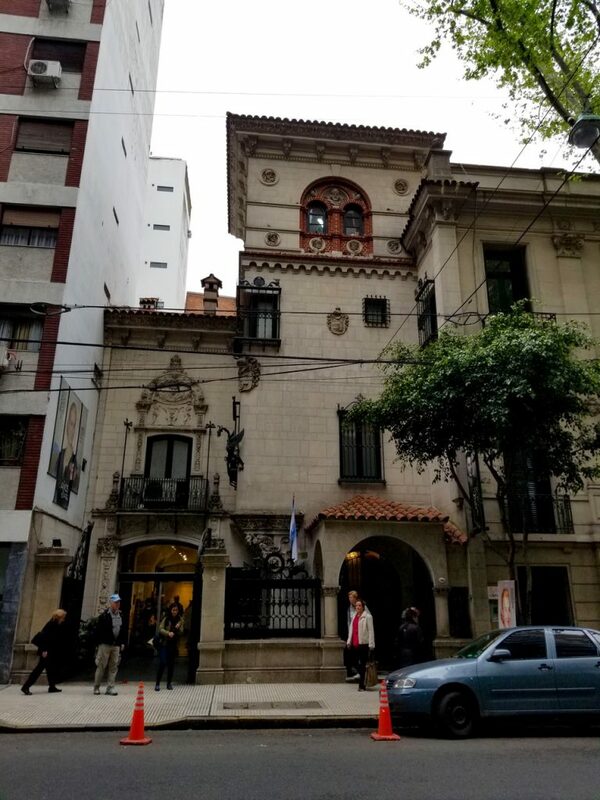 We based ourselves in the historic district of San Telmo in a crazy inexpensive Airbnb apartment a few blocks from the local San Telmo market and in the heart of the weekly Flea Market and Antique Fair. 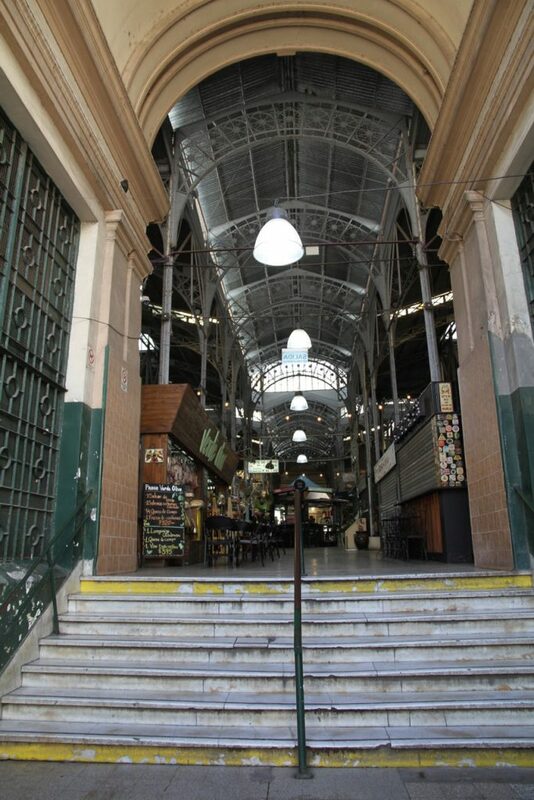 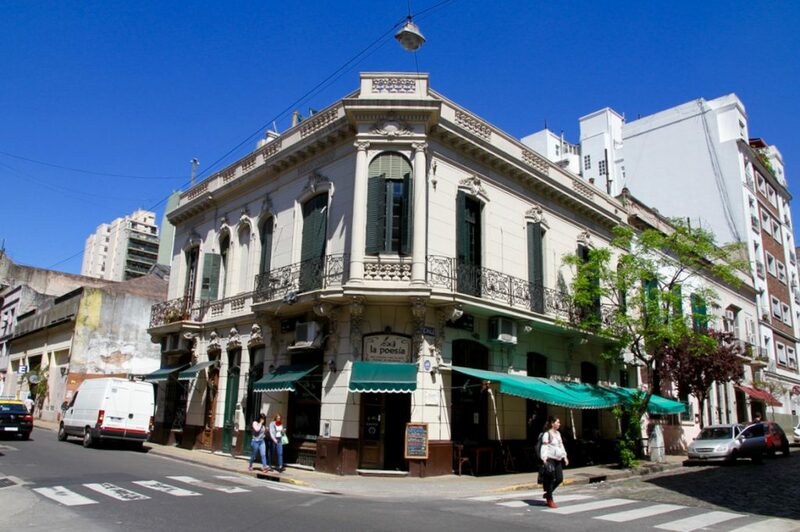 The San Telmo neighbourhood is the oldest neighbourhood in Buenos Aires. 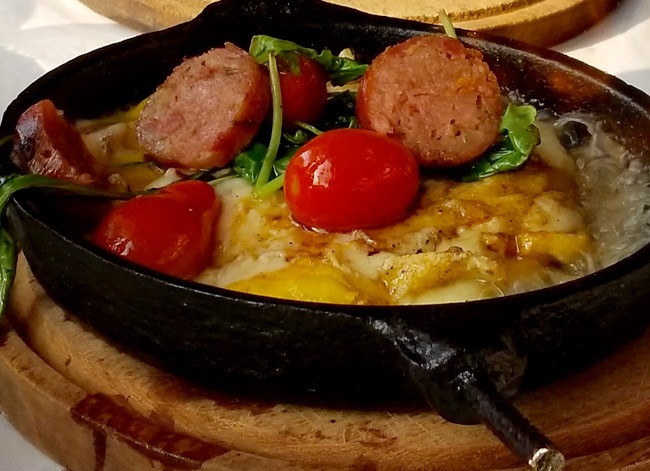 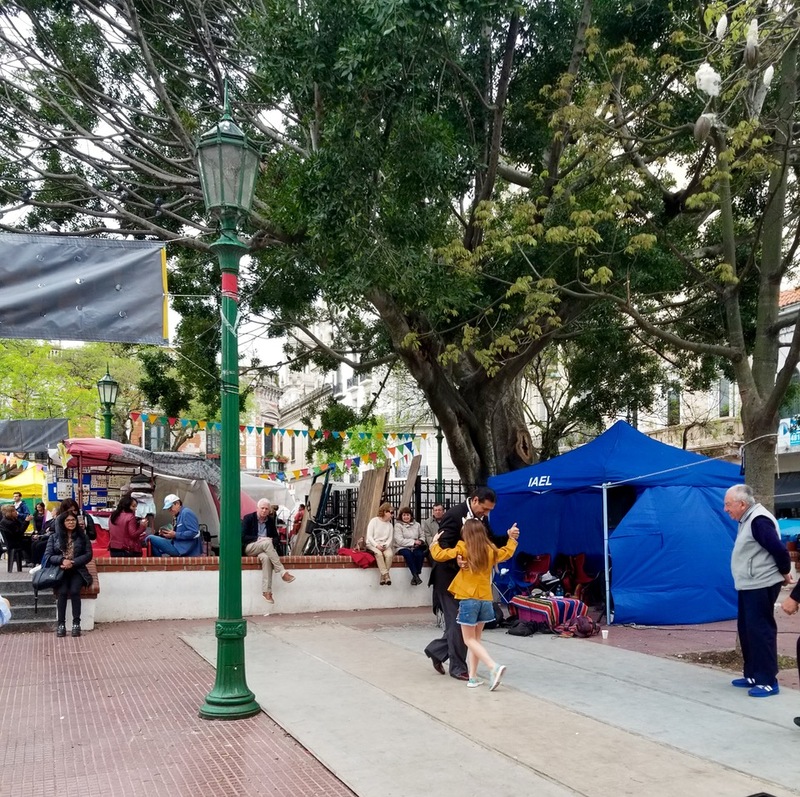 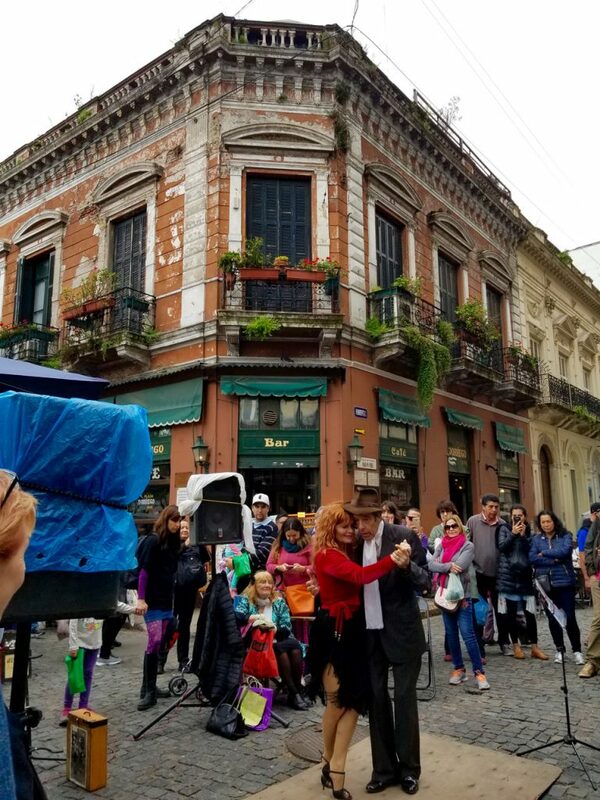 The streets are lined with historic cafes and pubs, tango bars and the fresh food market making it a great place to call home for a month and act like a local. 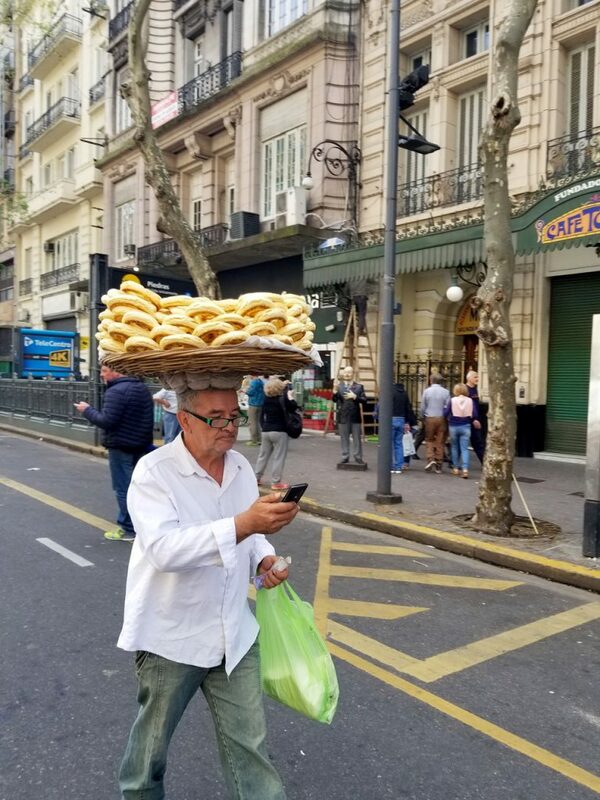 ...and best off all, the food! 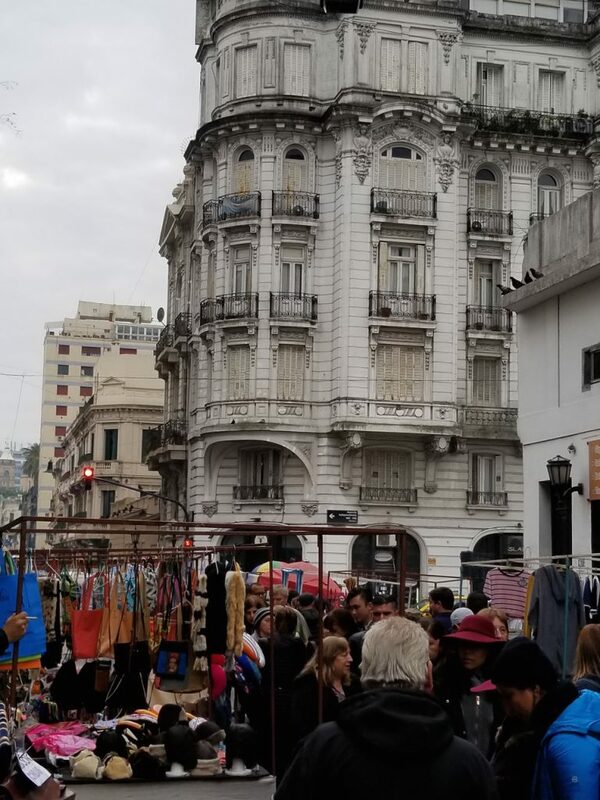 Exploring the city we quickly learned why Buenos Aires is known as the Paris of South America. 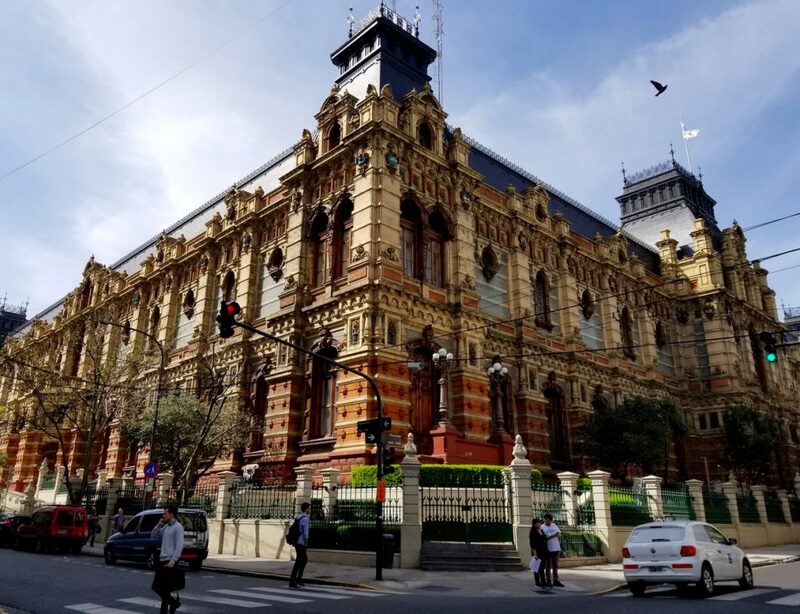 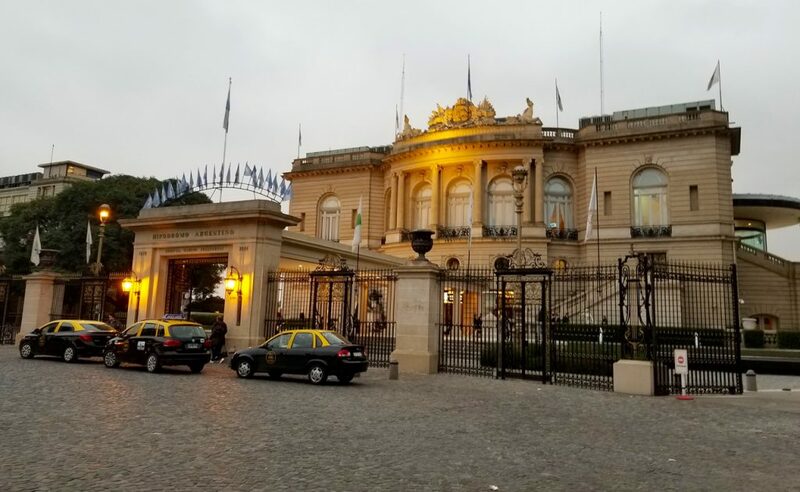 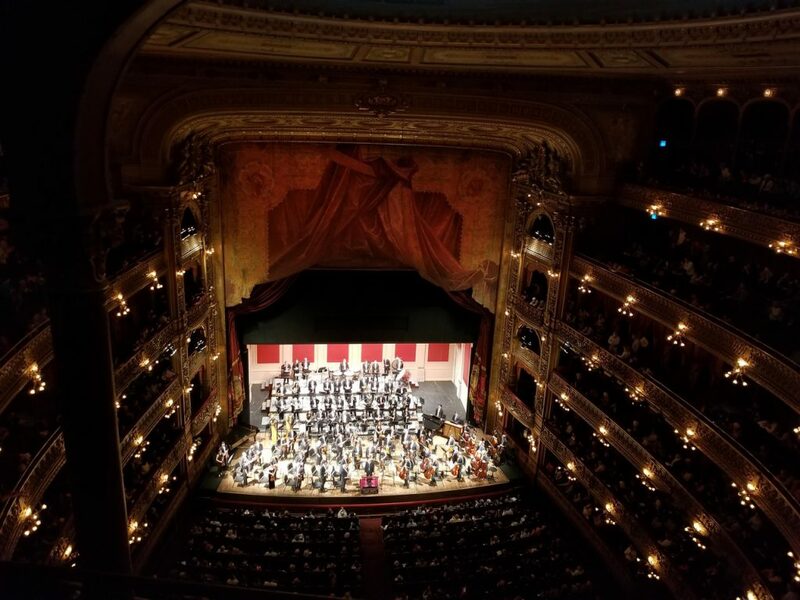 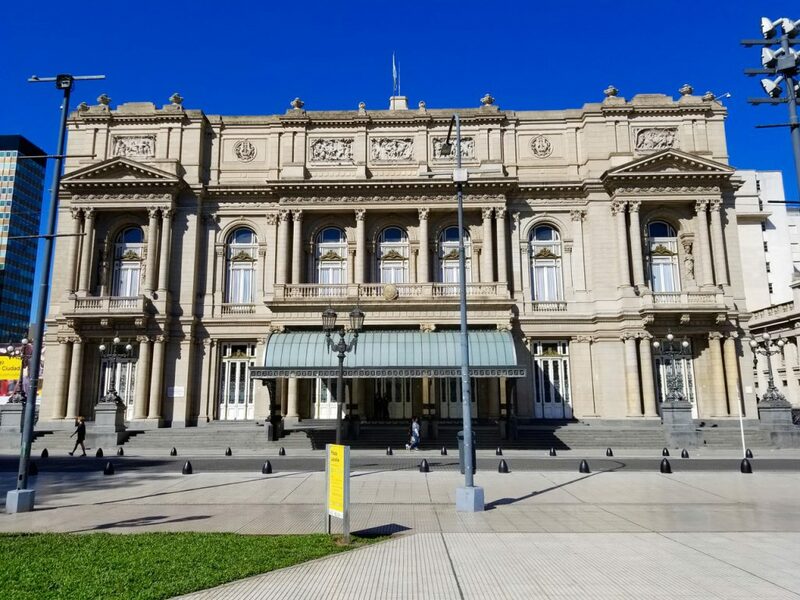 We were lucky enough to visit the Teatro Colon, considered one of the most important opera houses in the world and enjoyed a performance by the Buenos Aires Philharmonic. 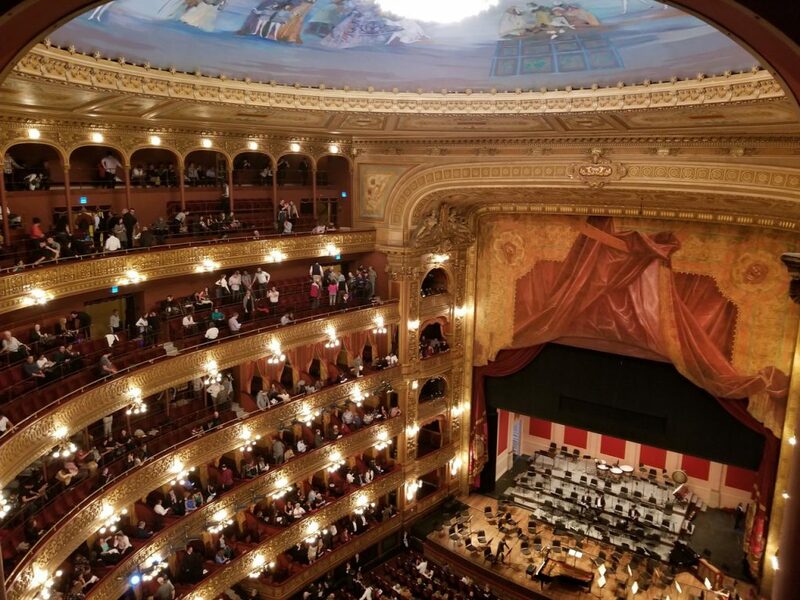 The show was fantastic ...and the building is spectacular! 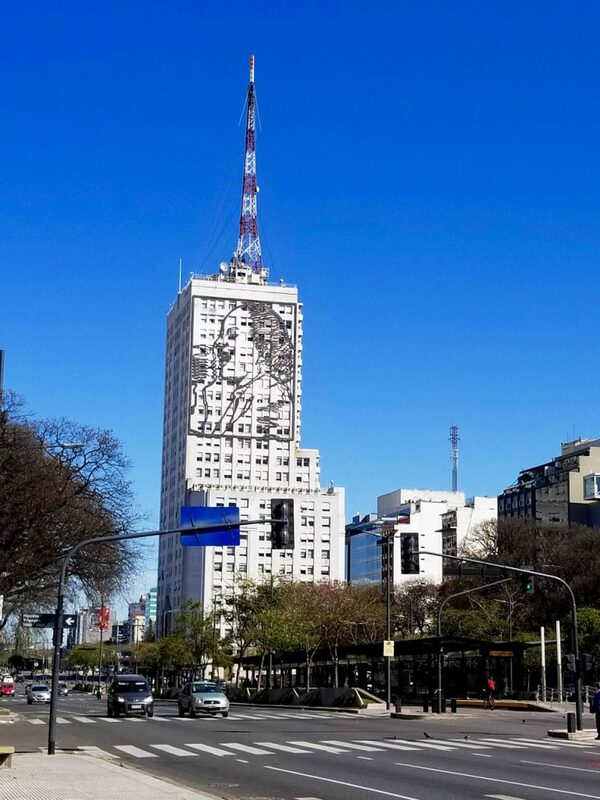 Eva Peron fought for the poor and attained voting rights for women in Argentina, gaining adoration from the masses but making many enemies along the way. 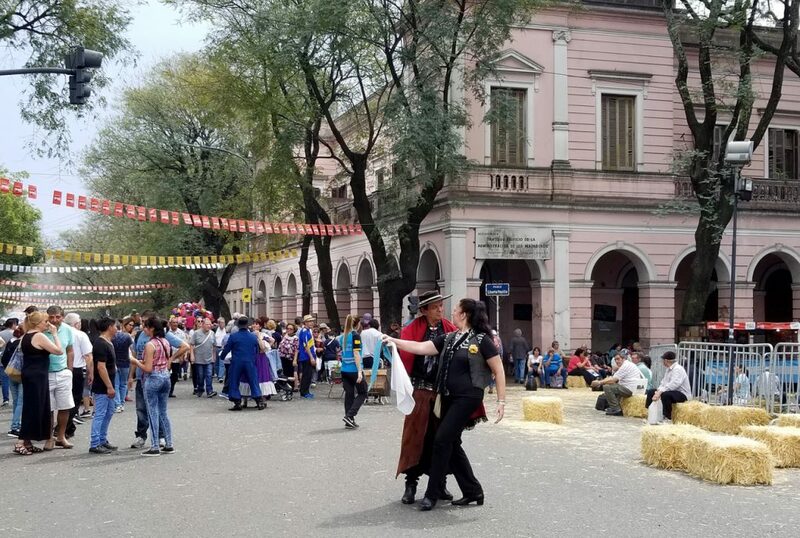 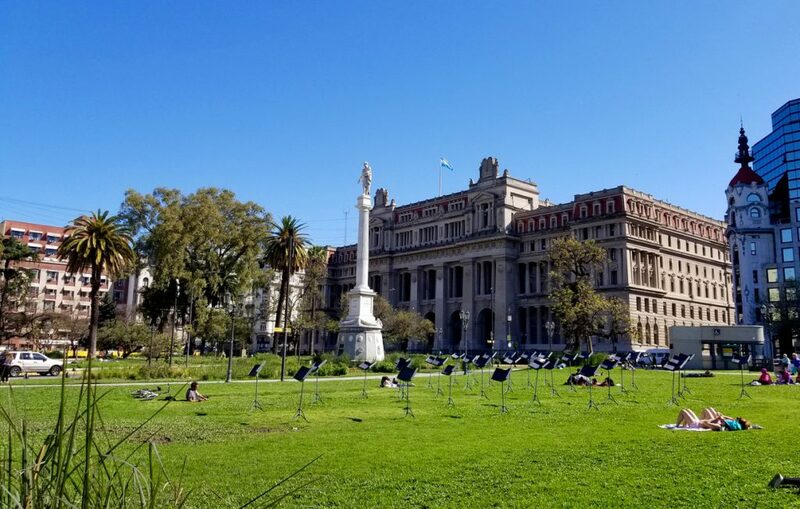 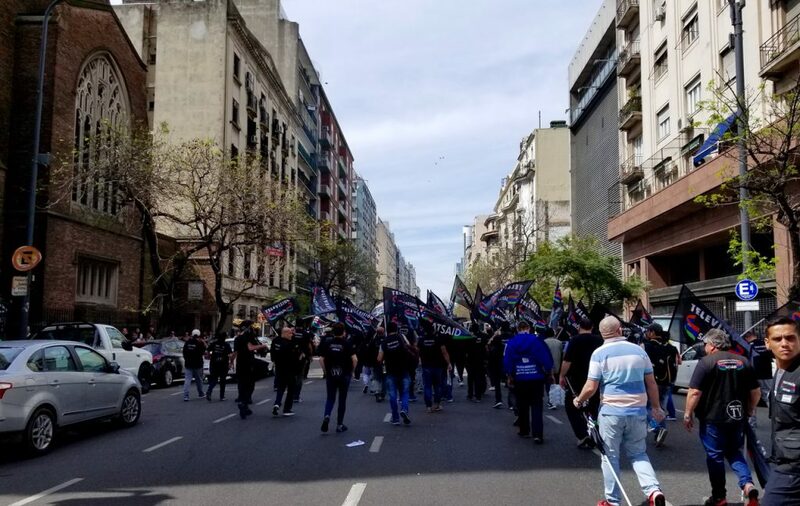 Protests (sometimes peaceful, sometimes not) are a daily occurrence in BA as the government attempts to implement austerity measures in hopes of turning around the country's failing economy. 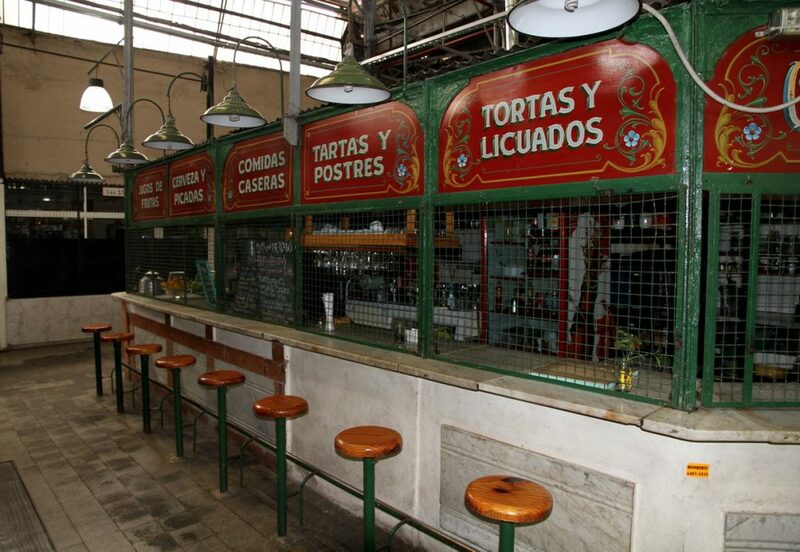 In Uruguay, we couldn't get enough of the national sandwich, The Chivito. 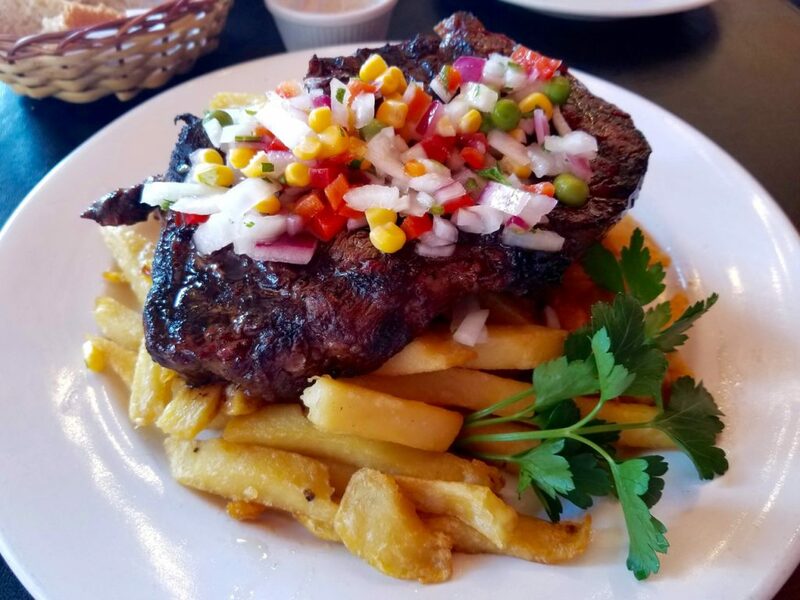 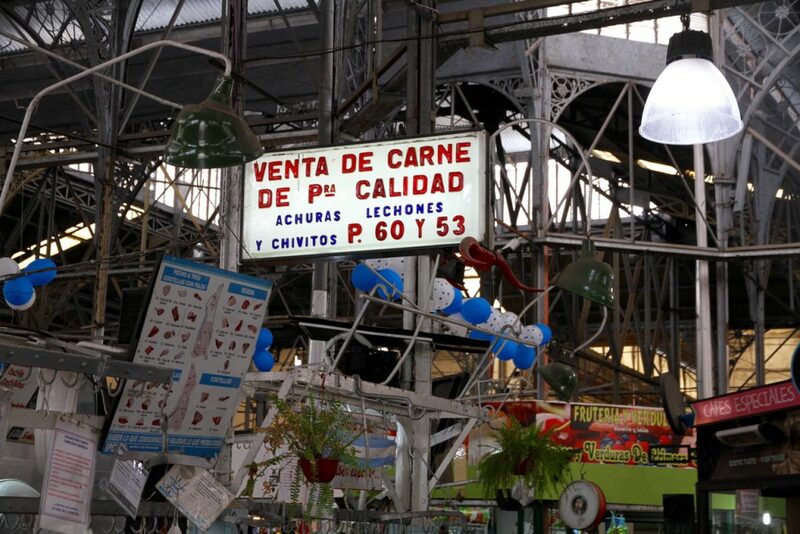 In Argentina, it is The Lomito. 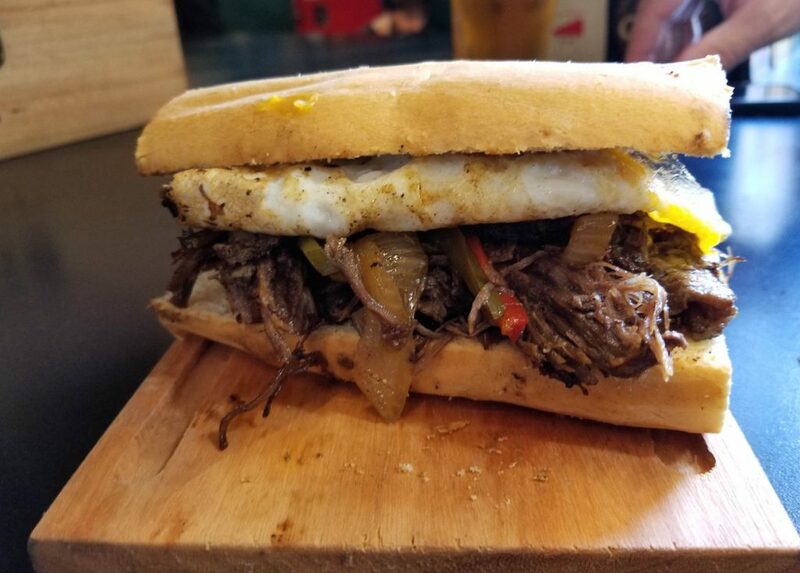 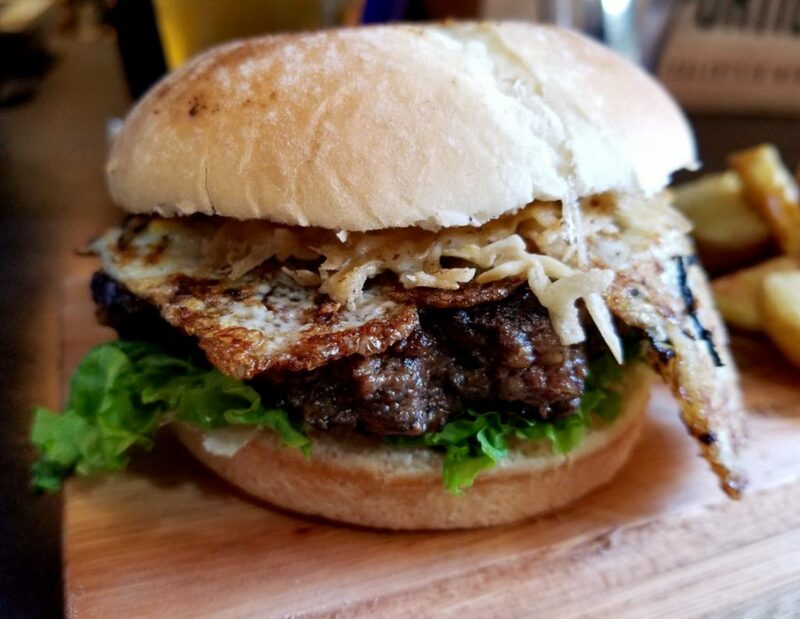 Similar deal, thin steak (this one is a bit more decadent with pulled beef), fried onion, peppers, maybe tomato, ham and a fried egg with a little chimichurri sauce, hold the mayo. 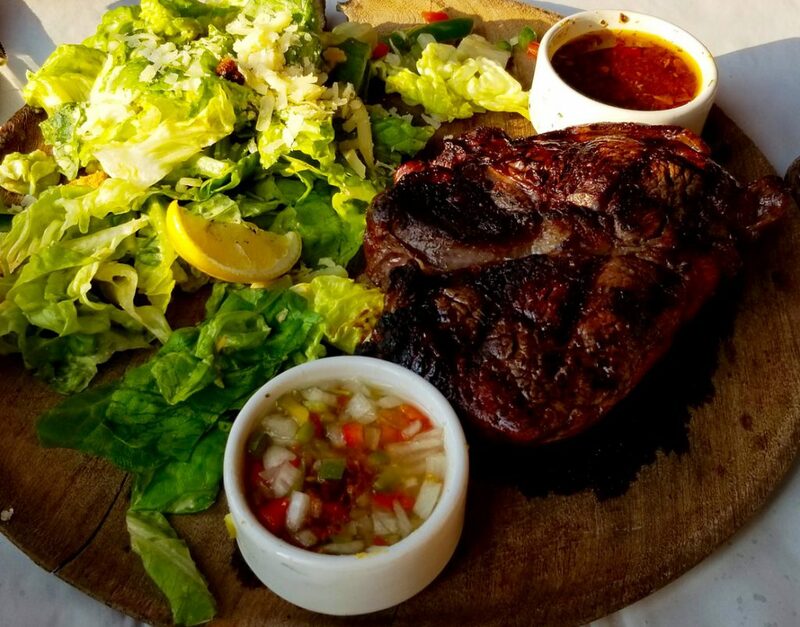 A nice light snack. 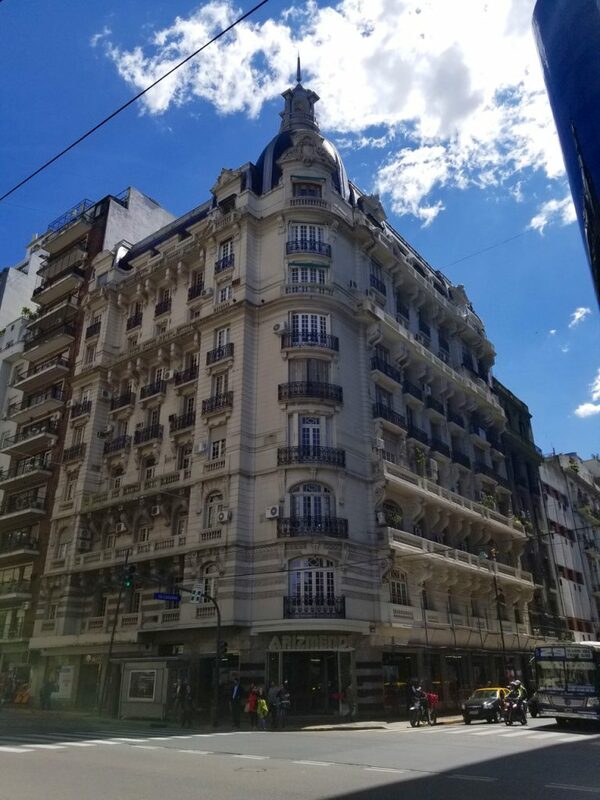 For us, Buenos Aires was a pretty easy existence. 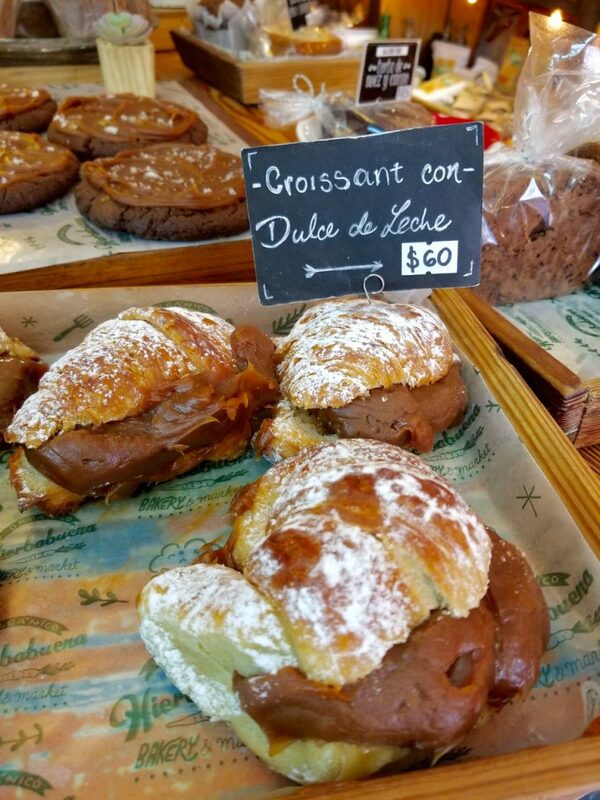 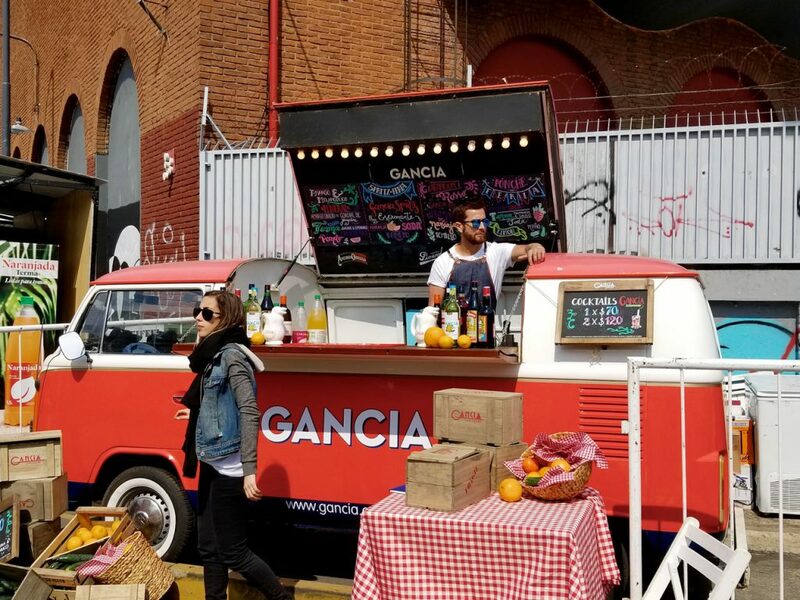 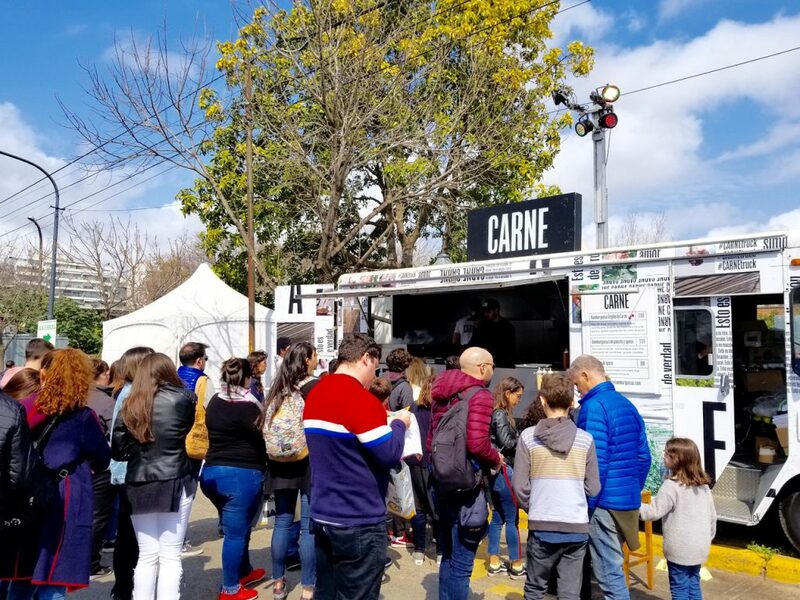 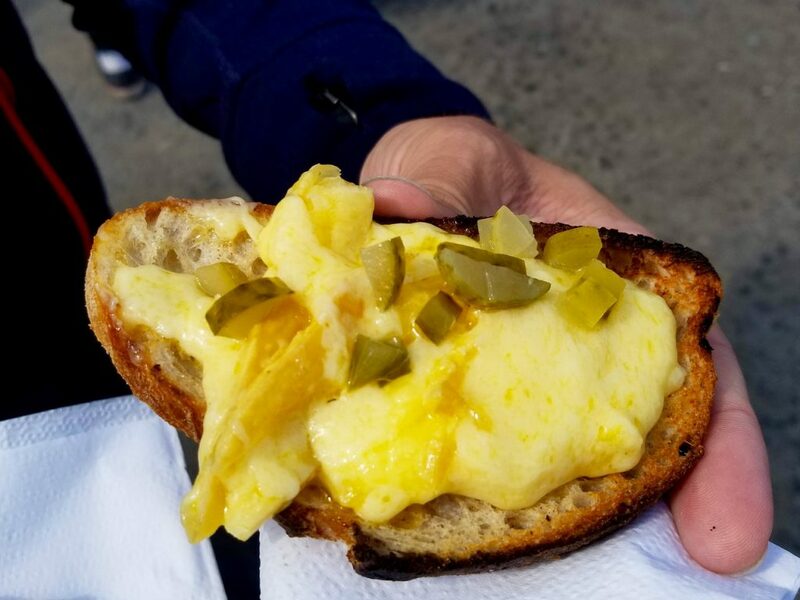 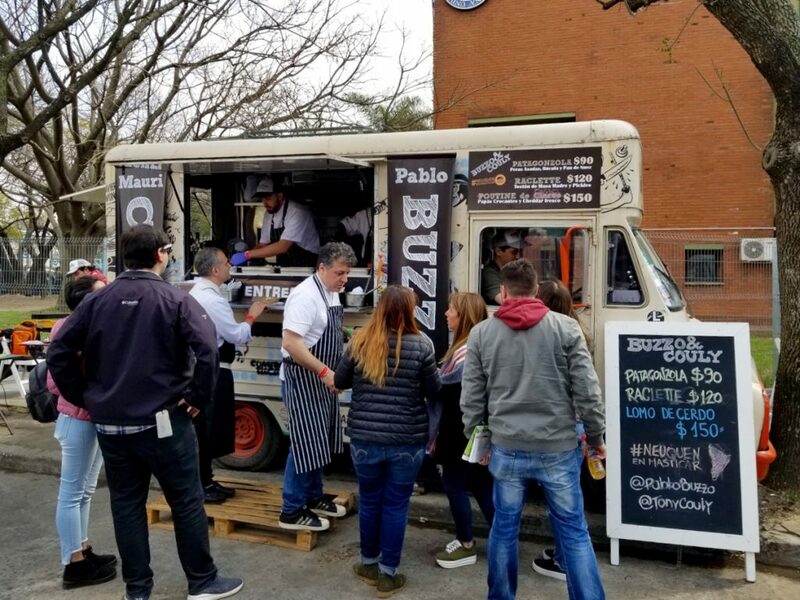 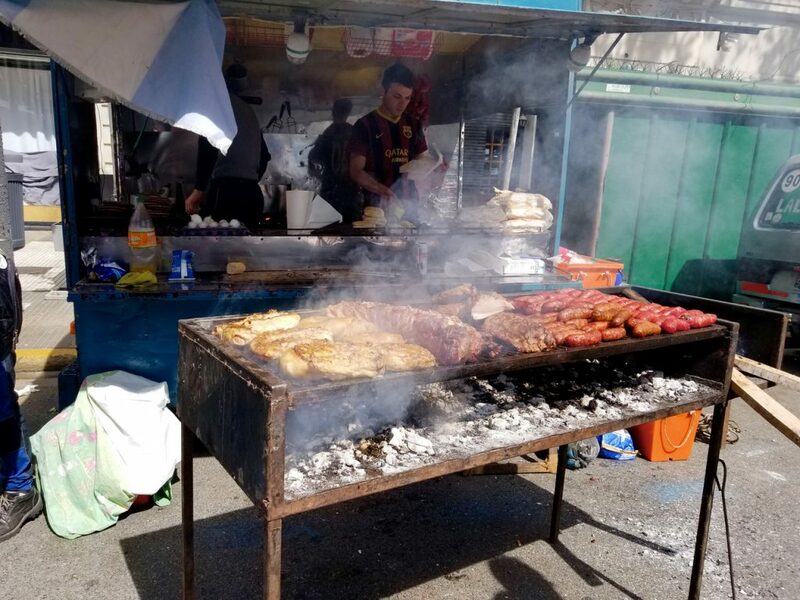 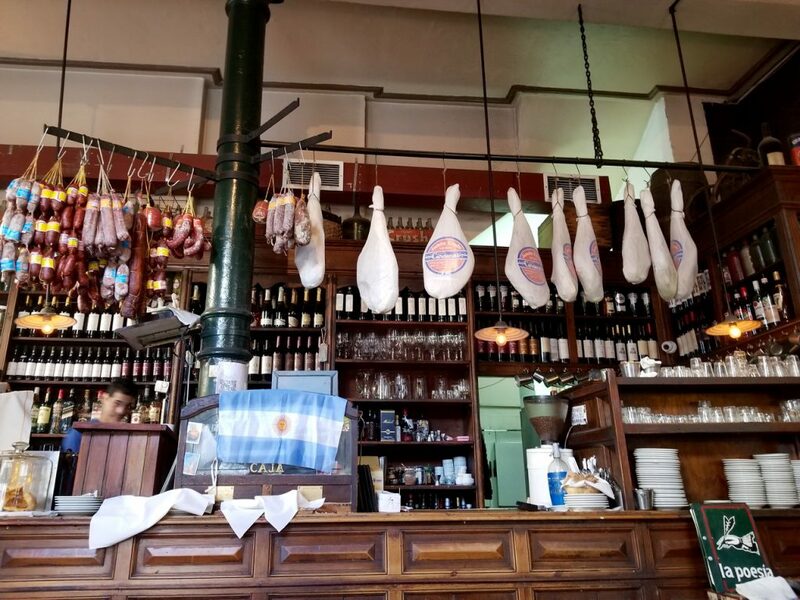 With no truck, driving or travel route to worry about (Our truck is still parked on the farm in Uruguay), we wandered the city's varied neighbourhoods and fit some sightseeing in between gorging on the wonderful flavours of the Argentine capital. 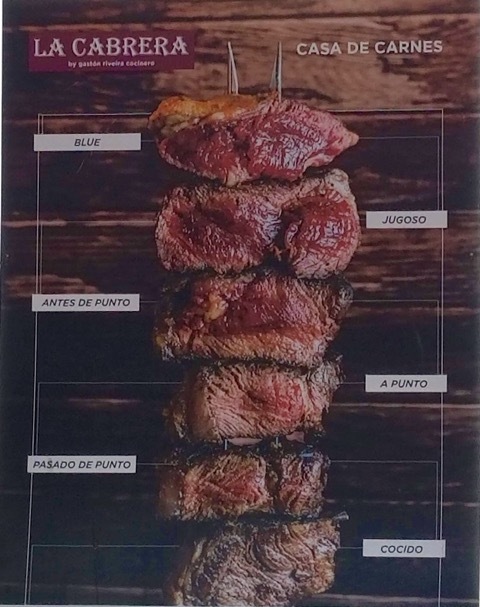 We did need to quickly figure out the correct terms for the way we liked our steaks prepared. 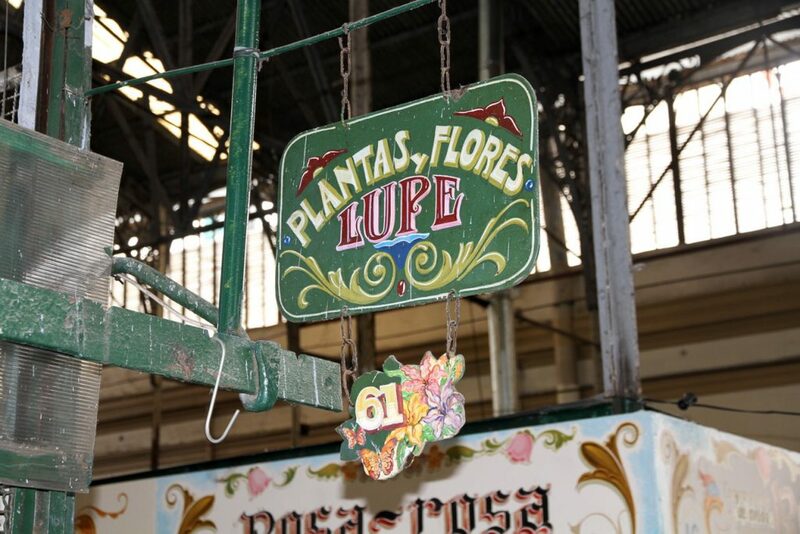 A Punto y Antes de Punto....Perfecto! 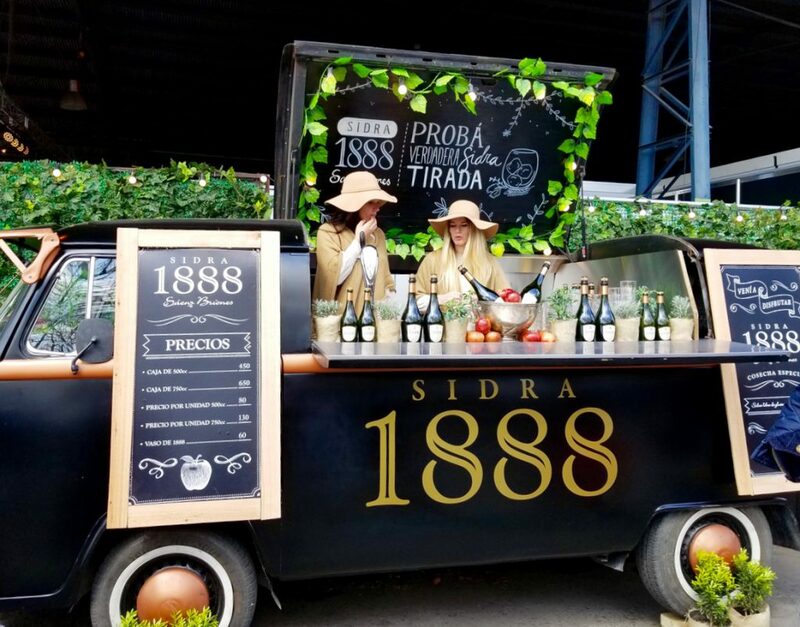 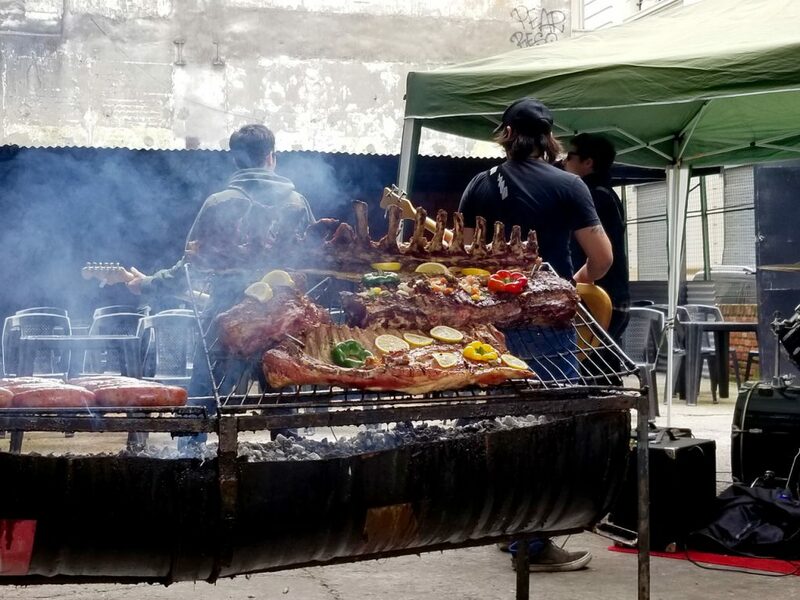 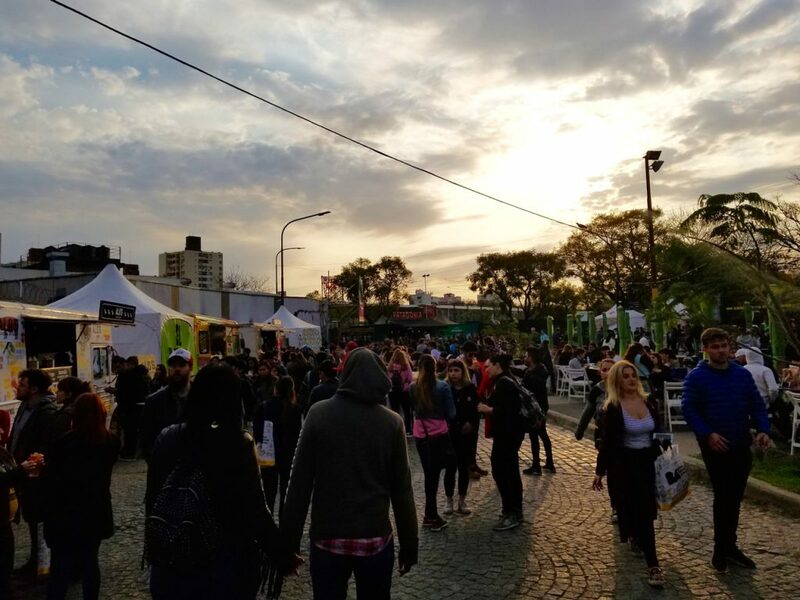 The Feria Masticar (Chew Fair) food festival was a definite highlight of our time in BA. 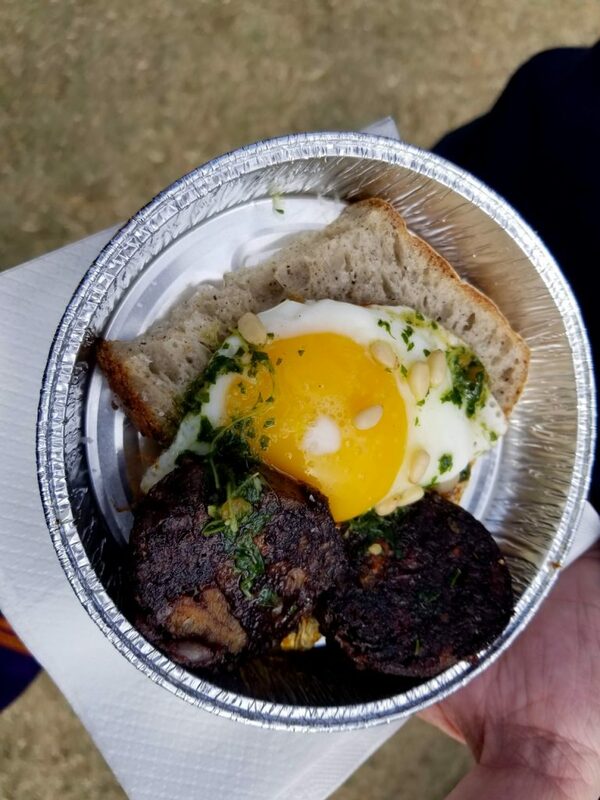 Blood Sausage, fried egg, chimichurri, pine nuts...oh boy! 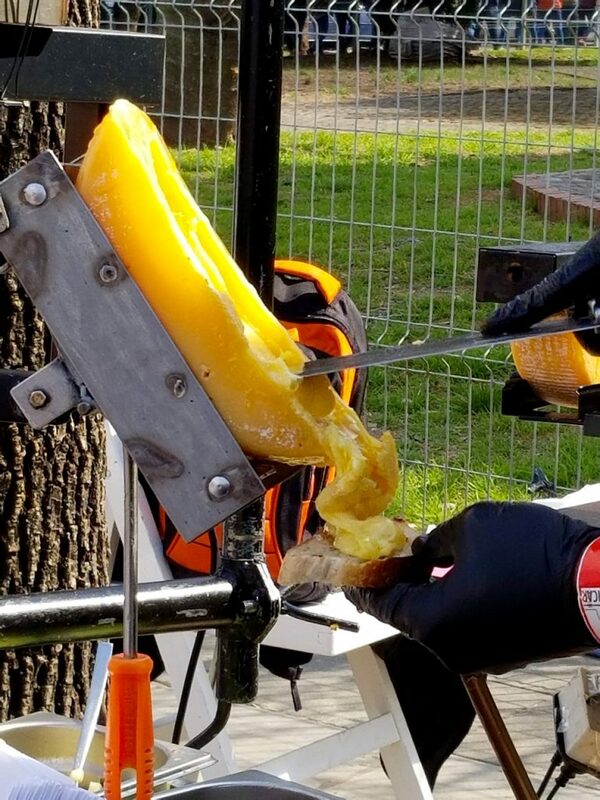 It was a very big day! 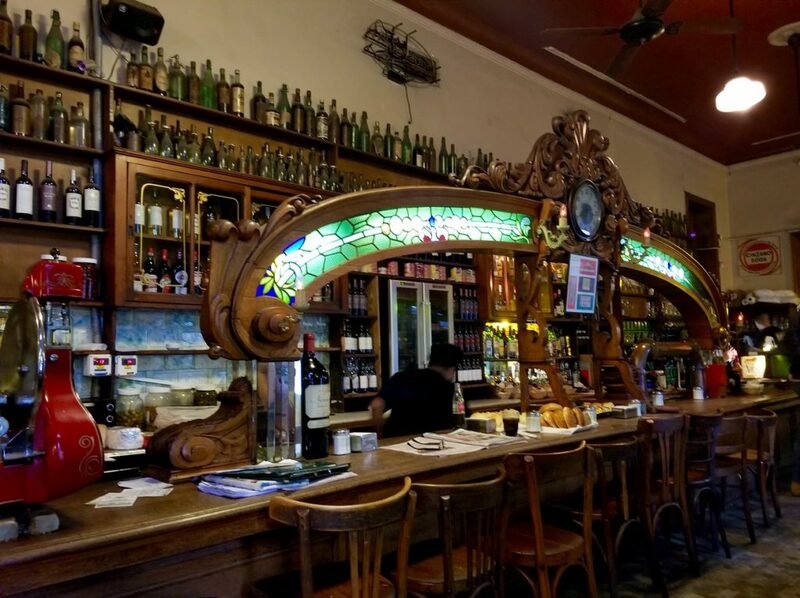 We organized some private Spanish lessons to take place in some of the historic cafes around the city. 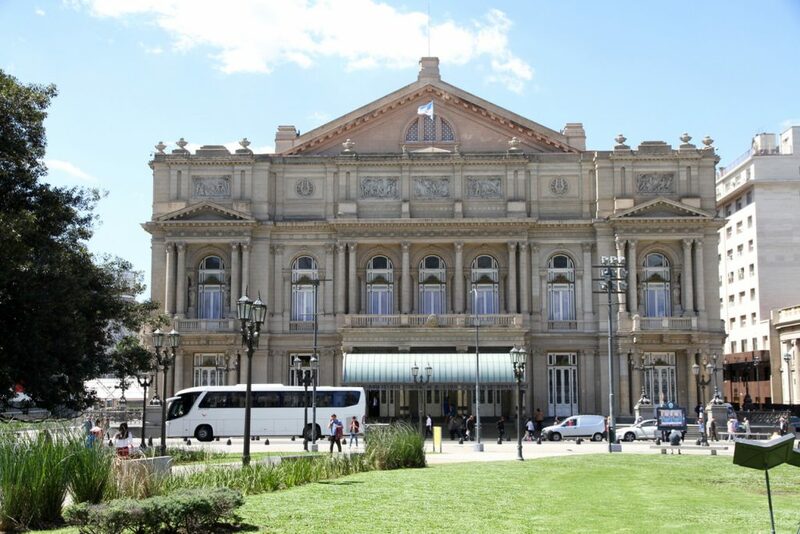 One of which was in the old Grand Teatro Splendid, a performing arts theatre that dates back to 1919. 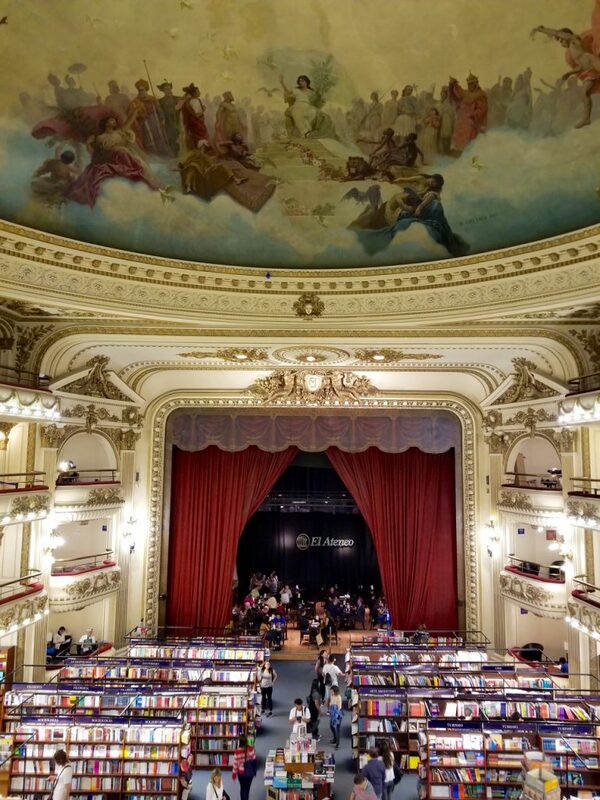 The theatre is now El Ateno bookstore, one of the most beautiful bookstores in the world. 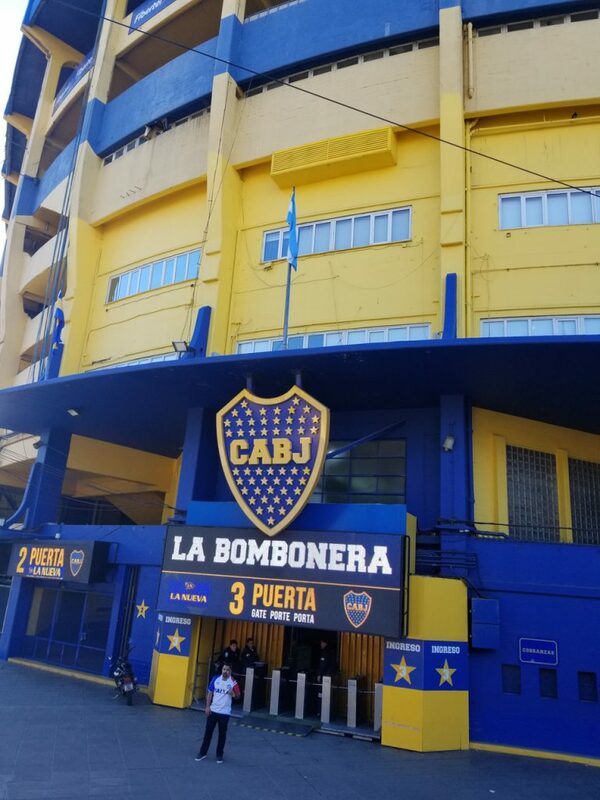 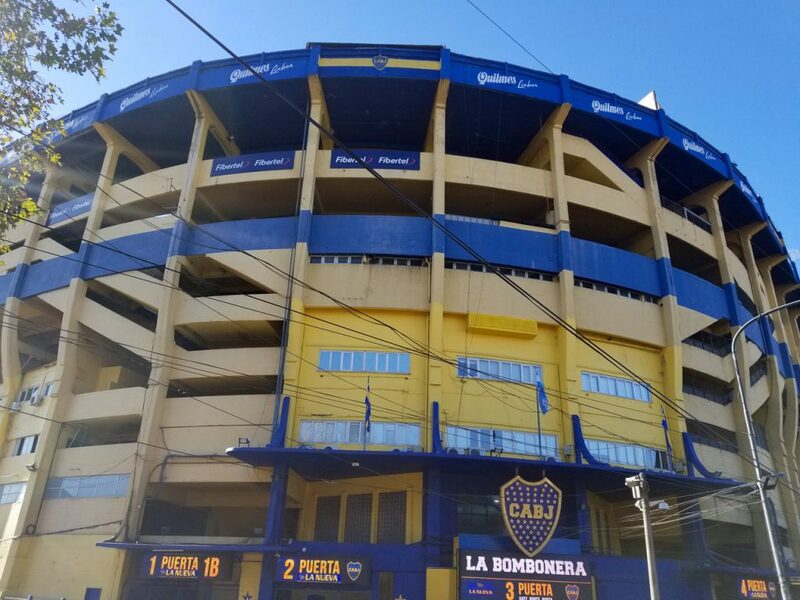 Unfortunately, tickets to a Boca Juniors futbol match proved too difficult to get our hands on while in town so standing outside La Bombonera is as close as we could get to the most successful club in Argentina. 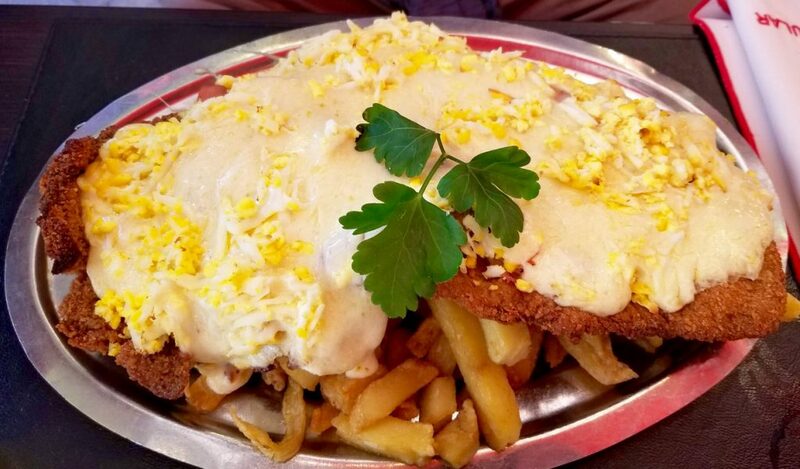 Big beef cutlet, provolone cheese, scrambled eggs, French Fries....... 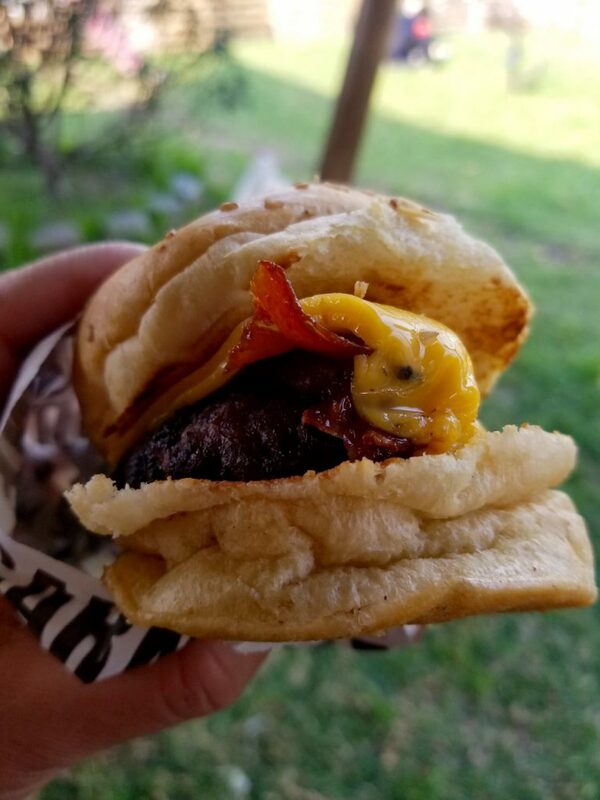 I did not feel well after this one! 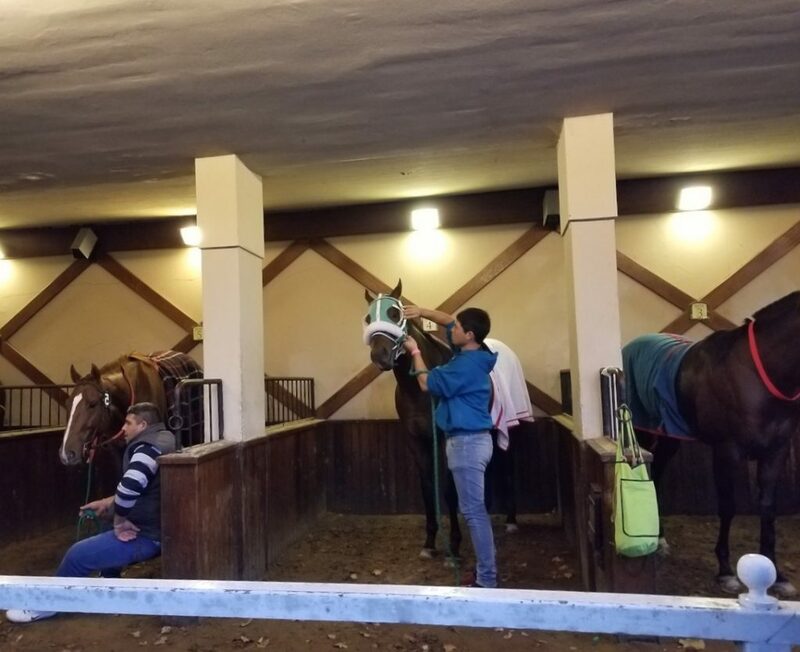 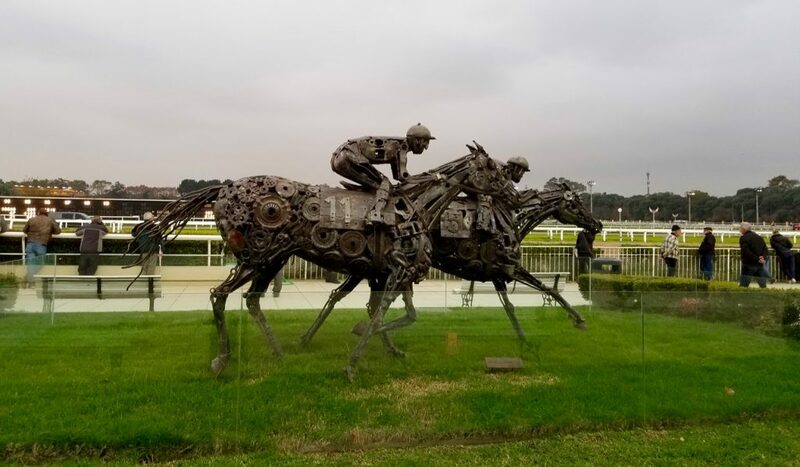 No trip (of mine) to Buenos Aires would be complete without a day at the races. 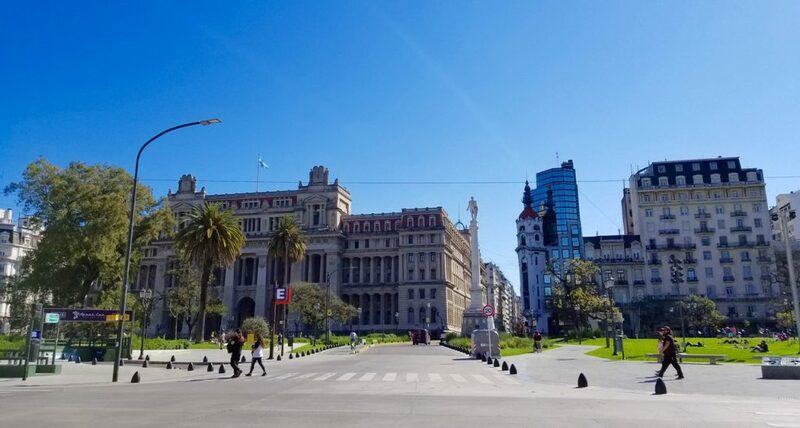 We aren't sure where the four weeks in Buenos Aires went and before we knew it time had come to get the ferry back to Uruguay to pick up the truck and continue the journey south. 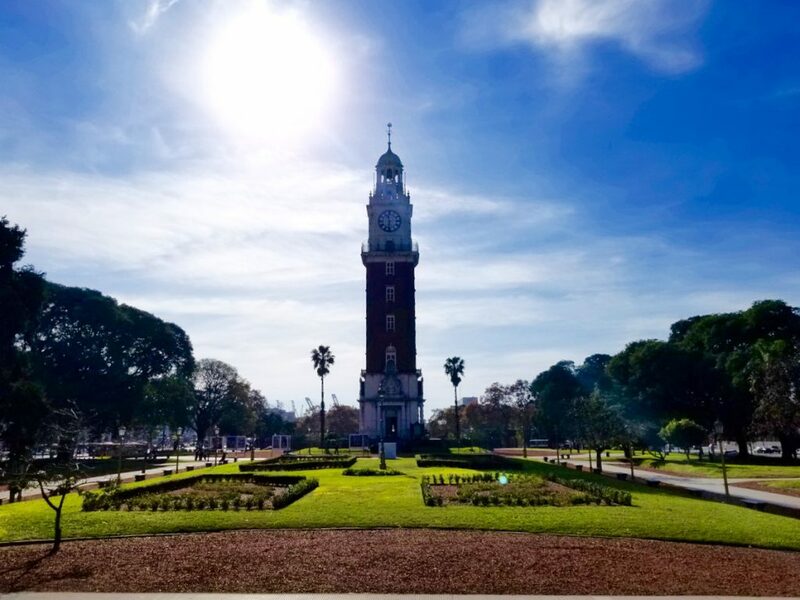 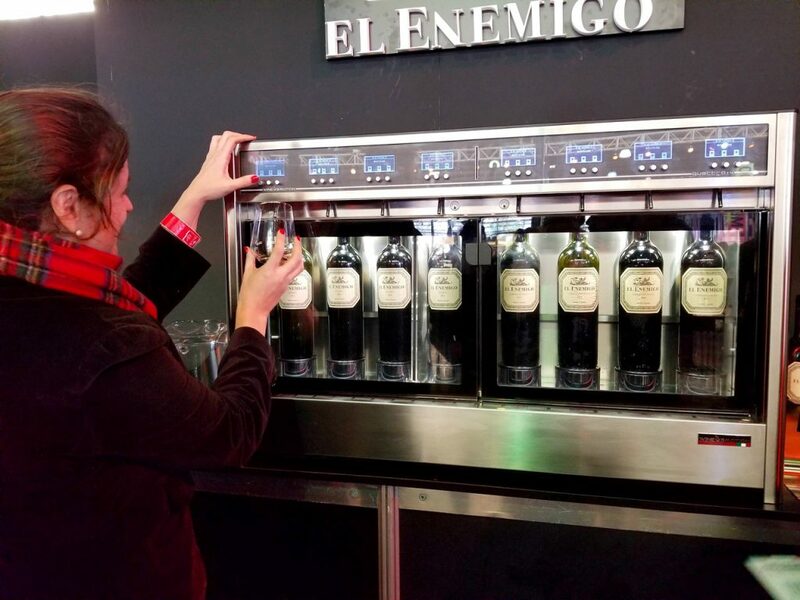 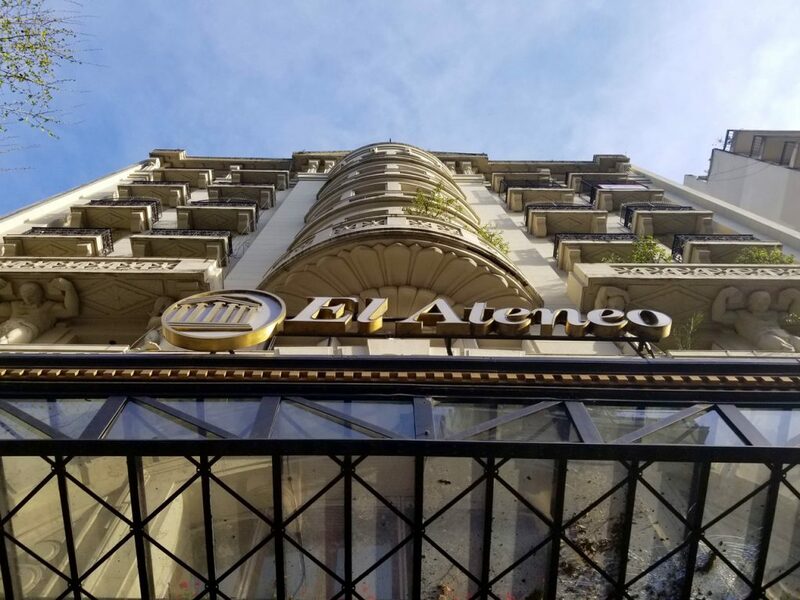 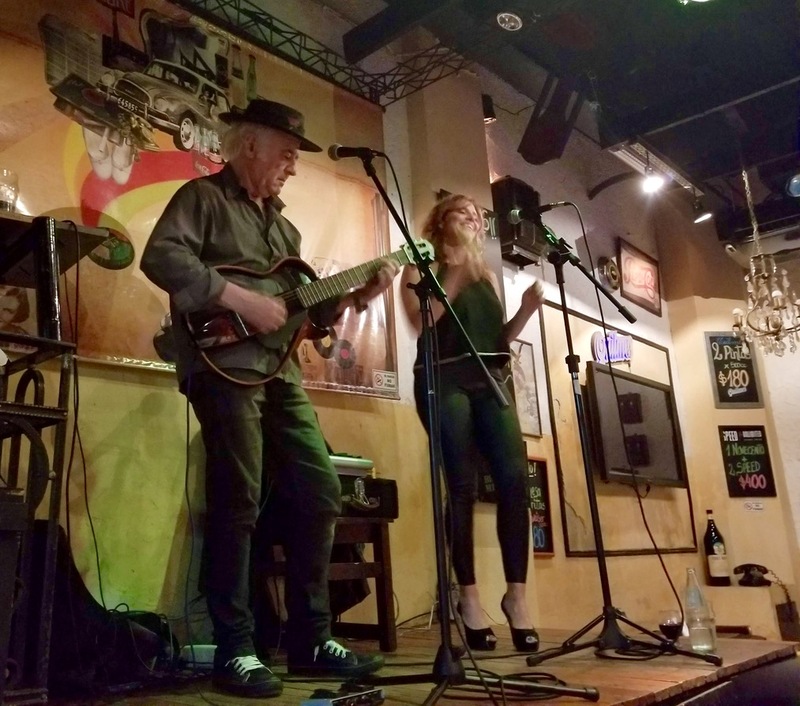 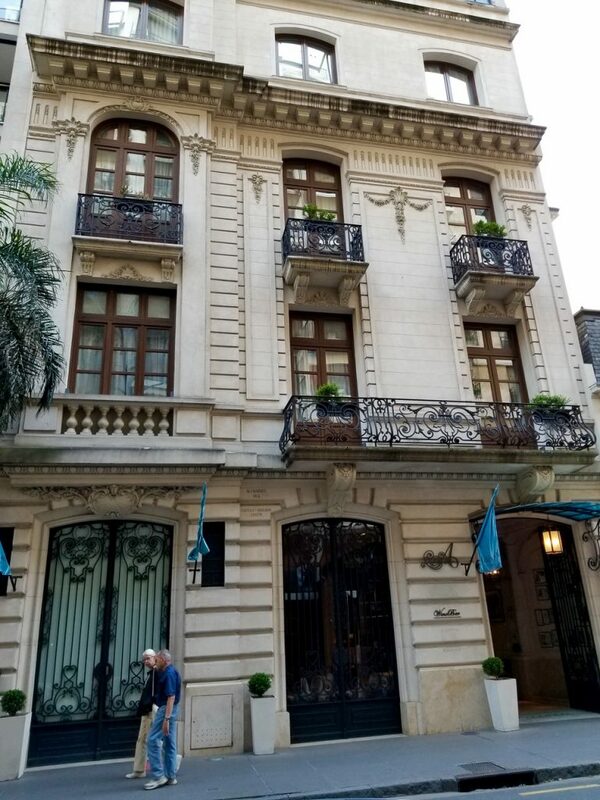 What can we say about the city of Buenos Aires other than we absolutely loved it! 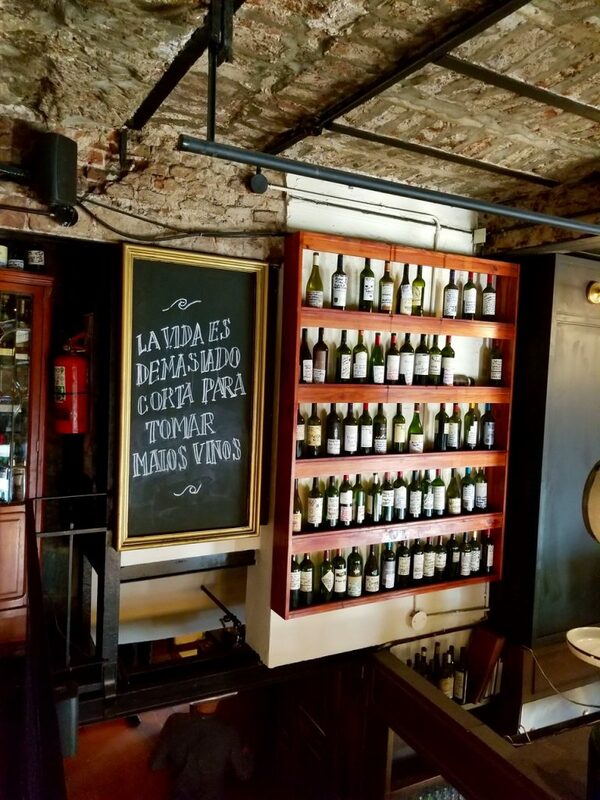 The history, the architecture, the energy, the people, the wine and the food.....we couldn't get enough of it.